The U.S naval station at Guantánamo and Ft. Snelling have a lot in common. Both sit on land claimed through questionable means. Both have served as sites of detention of people considered to threaten U.S. national interests. Those detained at both sites have experienced rightlessness. What are we to make of these commonalities? We believe the similarities exist because the histories of both sites involve legacies of imperialism and the myth of American exceptionalism. Explore this project and see what you think. Are they both sites of U.S. empire? Considering how the sites are remembered and used today, does this mean empire is still with us? 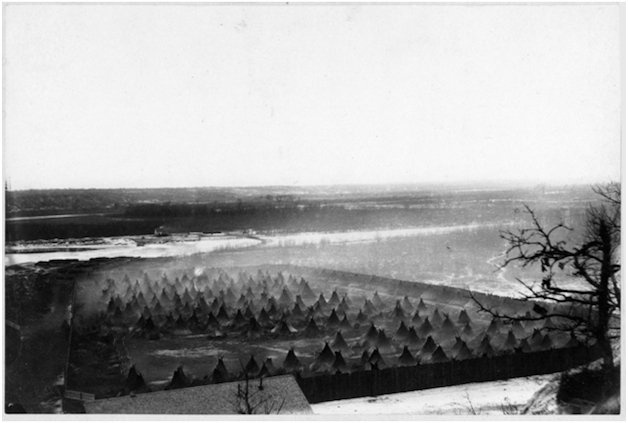 Take a look at the long histories of Ft Snelling and Guantánamo. Moments of slavery, detention, leisure and military are common within these sites. Explore the drastically different ways Guantánamo and Ft. Snelling are remembered. Consider how these sites may exemplify the continuous existence of U.S. empire. This project is part of the larger Guantánamo Public Memory Project. Version 91 id 1367036 of this page, updated 23 October 2017 by Bernard Ferguson. Created by Justin Schell. 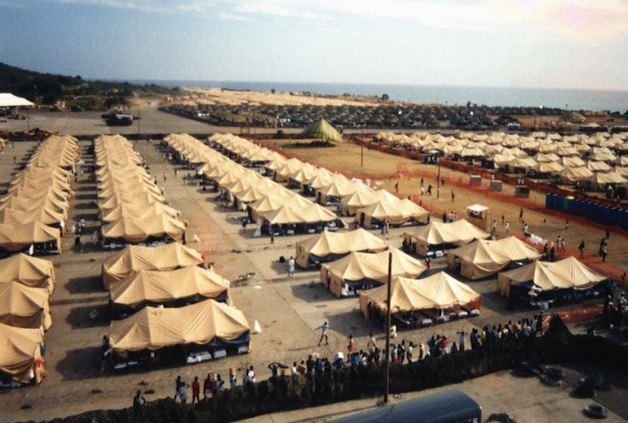 Fort Snelling and Guantánamo: Corresponding Histories, Disparate Rememberings. Help reading this book.